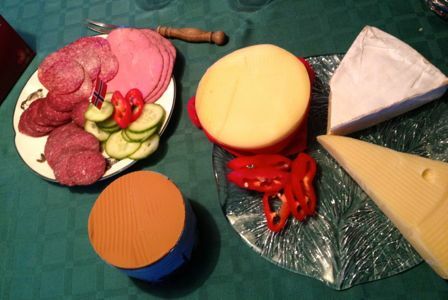 Anyone who has visited Norway (or Denmark, or Sweden..) will know that a Norwegian breakfast looks a lot like lunch. 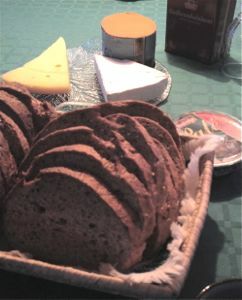 And a Norwegian lunch, looks exactly like breakfast..
As a result, Jon and I have both happily reacquainted ourselves with the norwegian goats cheese - which is brown and kind of sweet and goaty all at once. I was quite addicted when I lived here. 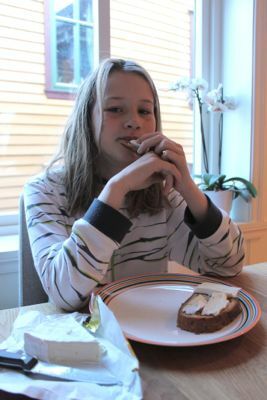 Zali, a cheese lover from way back, is embracing the Norwegian way of life with open arms - here she is at breakfast today..